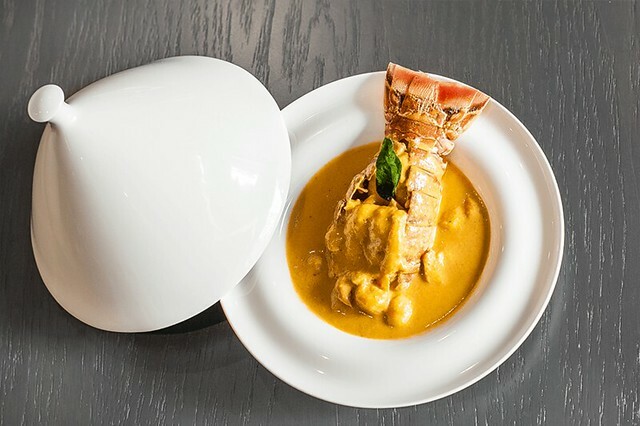 In the search of fine dining in the city, our taste buds took a tour of the exquisite Lotus London restaurant in the west end. Lotus is an authentic fine Indian dining restaurant located on Charing Cross Road. Named for the national flower of India, Lotus marries tradition with innovation to present a truly gourmet experience. A modern restaurant set in a central location, it easy to feel at home. The urban look and feel of the restaurant strikes a tone, other Indian restaurants typically attempt to create a pale façade to resemble an authentic setting. Lotus does this with its inspiring menu. mint chutney, masala prawn, duck egg and green lentil wraps and rabbit kheema with green peppercorns and missi roti. Such a variety of starters was certainly a visual delight – the colour and aromas making strong statements. The starters were a strong start to our culinary journey at Lotus. Our host was keen to ensure the recommendations were as strong as they were for the starters. Guided by our professional, we sat back and were taken through the vast wine list – all of which could be tailored to the main dishes we were about to tuck into. It is always reassuring when you place trust in your waiter and the recommendation was perfect; Lotus gets top marks for service. 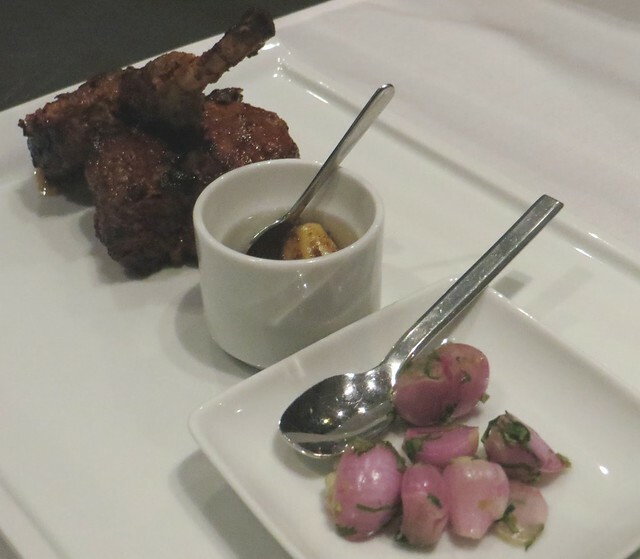 gram and dill yogurt, British lamb shanks in Khorma sauce served with 23 karat edible gold leaf (traditionally served to royalty to give them vigour in battle) and a venison rogan josh. Despite some reluctance to try such a varied set of mains we were impressed – the lamb khorma certainly stole the show, a set favourite with a great twist by Lotus. It certainly got everyone’s phone out and what very well flashed that evening. The great and light desserts featured almond kheer with gold dust, beetroot halwa money bags and dates jiggery. Traditional and authentic Indian desserts with a twist by Lotus’ Chef-Patron Bhaskar Banerjee. The sweetness certainly was apperent in the dishes and provided a great conclusion to the evening. 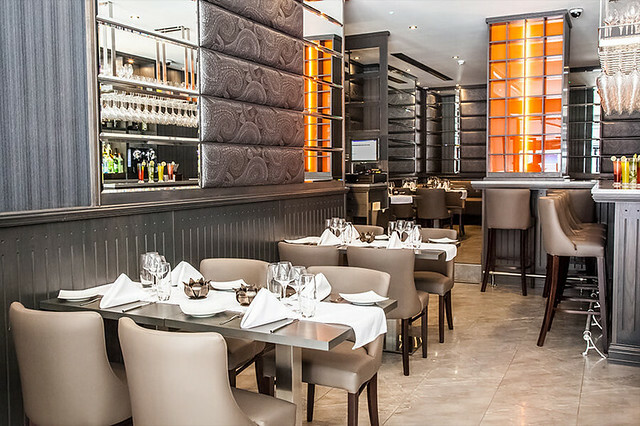 Lotus is a fantastic Indian restaurant in a buzzing part of London, while there are a variety of Indian restaurants in the area, Lotus does well at ensuring it is quality fine dining. The fantastically infused flavours and known traditional dishes work well together, creating an atmosphere focused on what really matters – the food.